Pack for a Purpose travelers make a Big Impact in the communities they visit. A perfect example of this is the news we received from Turtle Inn in Belize. 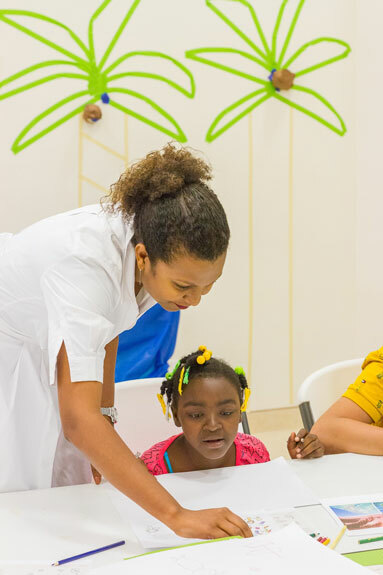 The First Lady of Belize, Ms. Kim Simplis Barrow, and Coppola’s Turtle Inn GM Martin Krediet recently went to the Inspiration Center in Belize City – which cares for children with disabilities. 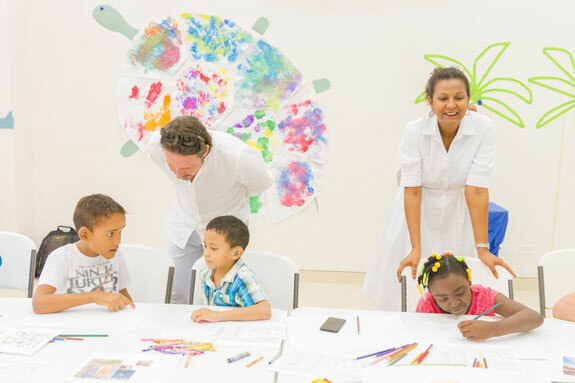 The children of the Inspiration Center made drawings, which will be auctioned off at a VIP event called “Bite of Belize.” The illustrations are also being used in the invitations and marketing materials. 100% of the supplies used to make the drawings were received from Pack for a Purpose travelers who have been exceedingly generous in taking supplies for the projects that Turtle Inn supports. The event is being organized in order to raise funds for the center and will be held in Miami on October 7th as part of SEE & Taste Belize – a festival to bring awareness to the beauty and culture of Belize.